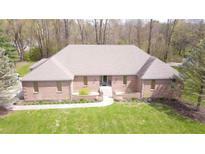 Find Center Grove, IN Homes for sale. View Photos, Maps and MLS Data Now! Community convenient to all Greenwood has to offer including shopping, restaurants, parks & much more. MLS#21635474. HMS Real Estate, LLC. Berkshire - Built by J. Greg Allen's Princeton Homes. MLS#21635280. Indiana Realty Pros, Inc..
Will be available for showings April 16th, 2019 MLS#21632307. RE/MAX Ability Plus. Basement, currently being used as shop, offers additional 2 car garage & ample storage space. MLS#21630121. Keller Williams Indy Metro S.
Don't miss out on this existing home that won't last long. MLS#21634970. CENTURY 21 Scheetz. Photos shown may be an artist rendering, model home, or of the same model but located in a different Lennar subdivision due to current construction stage. MLS#21634843. CENTURY 21 Scheetz. Inmans Sycamore Meadow - Truly A Paradise You Don'T Want To Miss! MLS#21635096. CrestPoint Real Estate. 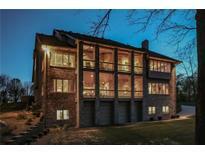 Upstairs features an open loft and 4 bedrooms. MLS#21632349. Mike Watkins Real Estate Group. Photos shown may be an artist rendering, model home, or of the same model but located in a different Lennar subdivision due to current construction stage. MLS#21634886. CENTURY 21 Scheetz. The lot is large with a privacy fence and 16'x20' 2 story shed in the back yard. MLS#21635072. F.C. Tucker Company. Kensington Grove - Even potential for 5th bedroom in basement- den. DONT MISS this one! MLS#21633619. Keller Williams Indy Metro S.
Community convenient to all Greenwood has to offer including shopping, restaurants, parks and much more. MLS#21634893. HMS Real Estate, LLC. Hunters Pointe - Outside Find Enclosed Screened Porch, Big Wooden Deck, & 2+ Car Garage w Workshop Area. MLS#21633725. Jeff Paxson Team. Willow Lakes - This home will not last long so don't wait to come and take a look. MLS#21634914. Keller Williams Indy Metro S.
Tuscany Village - Don't delay immediate occupancy available! MLS#21633822. Keller Williams Indy Metro S.
Green Valley Estates - The family room has a real wood burning fireplace (currently a gas log), gas is at the house therefore a gas furnace can be installed if desired. MLS#21633770. Ebeyer Realty, LLC. Three Notch Village - Large yard with rear privacy fence. MLS#21635089. 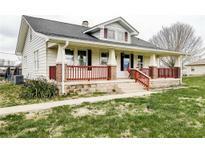 Gemini Realty Grp Inc.
Southway - Great location, close to the quaint Town of Bargersville! MLS#21633508. RE/MAX Results. Price is FIRM, owner will consider trade. Home Warranty included. MLS#21633385. CENTURY 21 Scheetz. Wakefield - Interior recent updates include the engineered hardwood flooring, tasteful lighting throughout, lush landscaping, interior paint, bar area in basement which includes 2 wine refrigerators, beadboard in the laundry room, & updated vanity top and faucet. MLS#21633340. CENTURY 21 Scheetz. 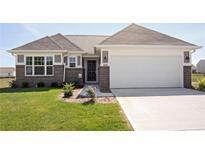 Conveniently close to shopping/restaurants and Center Grove Schools. MLS#21632335. CENTURY 21 Scheetz. The Basement Has 2 Bonus Areas And More. MLS#21633257. Mike Watkins Real Estate Group. Hard to find acreage in Center Grove area. MLS#21633284. Cottingham Realty, Appraisal. Cobblestone - Beautiful pond view from rear wood deck. MLS#21632736. Roger Webb Real Estate, Inc.
Wakefield - Don't wait to see this one! MLS#21632466. My Agent.